Anyone who petitions a court for a guardianship (the “Petitioner”) must be an interested person as defined under the law. See also, Adult Guardianship Process - Role of the Interested Person. Read the Law: Md. Code, Estates & Trusts, § 13-101(j) & Maryland Rule 10-103(f)(1). In all instances, a petition must be filed with the circuit court in the county where the alleged disabled person resides. A petition for guardianship of the person may alternatively be filed in the county in which the alleged disabled person is hospitalized or, for a non-resident alleged disabled person, where he or she is then located. Read the Rules: Maryland Rules 10-201(b)(1) and 10-301(b). A petition for guardianship of the property of a disabled person who does not reside in Maryland may be filed in the county in which a petition for guardianship of the person may be filed, or in the county where any part of the alleged disabled person’s property is located. Read the Rule: Maryland Rule 10-301(b)(2). Quite often, guardianships of person and property are sought in the same petition, but they do not have to be. The petition should contain detailed information about the Petitioner, the alleged disabled person, and all other interested persons. The petition must also generally provide: (i) a description of the nature of the disability, (ii) how it affects the alleged disabled person’s ability to function, and, (iii) why a guardian should be appointed. Read the Rules: Maryland Rules 10-201(c) and 10-301(c). 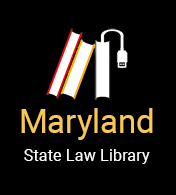 The Maryland Rules specifically require a Petitioner to set forth detailed examples supporting each element of proof necessary to establish a guardian of the person or property. Therefore, in a petition to appoint a guardian of the person, a Petitioner will need to specify facts demonstrating the alleged disabled person’s inability to make or communicate responsible decisions concerning his or her person, as well as describe the less restrictive alternatives that have been attempted and failed. If a guardianship over property is sought, specific examples of the alleged disabled person’s inability to manage his or her property and affairs effectively are required. While not specifically required by rule, it may be a good idea for the Petitioner to include a detailed background of events leading up to the Petitioner’s decision to file the guardianship petition. The petition should “tell a story.” This is especially true when there are complicated circumstances giving rise to the filing of the petition, such as significant medical issues, family discord, or if the matter is expected to be contested. Providing a detailed history can setting the stage for the court and can also protect the Petitioner from accusations of having filed a proceeding in bad faith. This strategy may also ultimately be helpful in assisting the Petitioner to recover his or her legal fees from the guardianship estate. Read the Rules: Maryland Rule 10-201(c)(4); Maryland Rule 10-301(c)(4). Any petition must also disclose whether a guardian or conservator has been appointed for the alleged disabled person in another proceeding or whether an instrument exists that nominates a guardian. If the disabled person is represented by an attorney, that attorney’s name and address should be included in the petition. If not, the petitioner should file a motion requesting an attorney be appointed by the court to represent the alleged disabled person in the guardianship proceeding. Read the Rules: Maryland Rules 10-201(c)(5), (6) and 10-301(c)(5), (6); Maryland Rules 10-201(c)(9) and 10-301(c)(9). If a guardianship over property is sought, the petition should include a description of the alleged disabled person’s assets, including current values of those assets. Read the Rule: Maryland Rule 10-301(c)(8). Accompanying the petition must be two certificates from health care professionals who have examined or evaluated the alleged disabled person certifying that the alleged disabled person is, in fact, disabled and in need of a guardianship. The certificates may be obtained from (i) two physicians licensed to practice medicine in the United States; or (ii) one licensed physician and either one licensed psychologist or one certified clinical social worker. Each certificate must state: (1) the name, address, and qualifications of the person who performed the examination or evaluation; (2) a brief history of that person’s involvement with the alleged disabled person; (3) the date of the last examination or evaluation of the disabled person; and, (4) the person’s opinion as to: (A) the cause, nature, extent, and probable duration of the disability, (B) whether institutional care is required, and (C) whether the disabled person has sufficient mental capacity to understand the nature of and consent to the appointment of a guardian. At least one examination or evaluation must occur within 21 days before the date the petition is filed. Read the Rule: Maryland Rule 10-202(a)-(b). These certificates are admissible as evidence of disability at a guardianship hearing, without presence or testimony of the certifying physician, psychologist, or social worker, unless a request is filed by another party that the testimony be presented in court. These certificates are often the only evidence of disability on which a court will base its determination to appoint a guardian. If you are unable to have the disabled person evaluated because the disabled person is under the control of a person who has refused to permit examination, there is a process available to have the court order an examination. Read the Rule: Maryland Rule 10-205(b); Maryland Rule 10-202(c). E. What Happens After the Petition is Filed? After the petition is filed, the court will sign an Order, called a “Show Cause Order,” requiring the alleged disabled person, through his or her attorney, and any other interested person or agency, to respond to the guardianship petition within a certain period of time, usually 20 days from the date they are provided with a copy of the Order. The Show Cause Order will also set the date and time for a court hearing on the guardianship petition. Read the Rule: Maryland Rule 10-104. The petitioner is responsible for making sure that the disabled person, his or her attorney, and all interested persons are served with a copy of the Show Cause Order within the time identified by the court in the Show Cause Order. A copy of the guardianship petition, physician’s certificates and other required documents must also be served with the copy of the Show Cause Order. Read the Rule: Maryland Rules 10-104, 10-203, and 10-302. After a petition for guardianship of the person and/or property of an alleged disabled person is filed, the court will also appoint an attorney for the disabled person who is not already represented by an attorney of his own choosing. This is required to ensure that the alleged disabled person’s due process rights are not violated during the guardianship proceedings, particularly since the alleged disabled person faces significant and usually permanent loss of his basic rights and liberties. Read the Law: Maryland Rule 10-106; Md. Code, Estates & Trusts, § 13-211(b) and § 13-705(d)(1). The fact that a client suffers a disability does not diminish the lawyer’s obligation to treat the client with attention and respect. The Maryland Rules of Professional Conduct require that when representing a client under a disability, an attorney is, as far as reasonably possible, to maintain a normal client-lawyer relationship with the alleged disabled person. Read the Law: Maryland Rule 16-812, MRPC 1.14, Comment 2, MRPC 1.14(a). The law recognizes intermediate degrees of competence and that there are often instances in which a client with diminished capacity has the ability to understand, deliberate upon, and reach conclusions about matters affecting the client’s own well-being. Read the Law: Maryland Rule 16-812, MRPC 1.14, Comment 1.
to explain the proceedings to his client and advise him of his rights, keep his confidences, advocate his position, and protect his interests….In guardianship proceedings, effective representation by counsel ensures that the proper procedures are followed by the court, that the guardianship is imposed only if the petitioner proves by ‘clear and convincing evidence’ that such a measure is necessary and there is no reasonable alternative, that the guardianship remains no more restrictive than is warranted, that no collusion exists between the court appointed investigator and petitioner, and that the client's right to appeal is exercised, if appropriate. In re: Sonny E. Lee, 132 Md. App. 696, 718-719, 754 A.2d 426, 438-439 (2000). However, even in light of the mandates of In re: Sonny Lee, where the alleged disabled person does not oppose the guardianship, or is incapable of taking a position and the court-appointed attorney believes a guardianship would serve his or her client’s best interests, it is ethically appropriate for the court-appointed attorney to file a report with the court setting forth his or her findings. Read the Law: Maryland Rule 16-812, MRPC 1.14(b). A court-appointed attorney may decide whether to request the presence of the physicians who prepared physician certificates, request the appointment of an independent investigator, request a closed hearing, assert or waive his client’s right to be present at the hearing, or assert or waive a jury trial. Read the Law: Maryland Rule 10-205 (b)(1), Maryland Rule 10-106(c), Md. Code, Estates & Trusts, §13-705 (e), Maryland Rule 10-105(b)(1). The role of the independent investigator is to investigate the facts of the case and report to the court, and not an advocate for the disabled person or any other party to the proceeding. The fee of a court-appointed investigator is paid from the guardianship estate, or otherwise as the court directs. While Maryland law provides that fees for the appointed counsel for the alleged disabled person shall be paid out of the guardianship estate, the law is not so clear with respect to fees incurred by guardianship petitioners. Any legal fees in excess of fifty dollars ($50), including those of a court-appointed counsel, must be petitioned for, and approved, by the court before payment from a guardianship estate. Maryland does not have any specific statute that allows a petitioner to recover attorney’s fees incurred in petitioning for guardianship. However, there is no Maryland statute that prohibits a petitioner to recover attorney’s fees incurred in petitioning for guardianship. Effective October 2015, changes to Md. Code Ann. Estates and Trusts 13-704 and 13-705 provide additional guidance for when courts will order or deny certain attorney fees related to petitioning for appointment of a guardian of the person for a disabled person. Read the law: Maryland Rule 10-106; Md. Code, Estates & Trusts, § 15-102(o). Ultimately, this decision is left solely to the discretion of the court. What this means in very practical terms is that the Petitioner, and any interested persons intervening in guardianship proceedings, must be prepared to be responsible for their own attorneys’ fees with the goal, but not with the certainty, that these will someday be reimbursed from the guardianship estate. When representing guardianship petitioners, or when acting as counsel for an interested person in a guardianship proceeding, your engagement agreement should make it explicitly clear that while the court has the authority to reimburse the interested person, upon request, for his attorneys fees from the guardianship estate, payment to you is not contingent upon the court’s approval of that request. Your client should agree that until your fees are approved by the court, all legal fees and related costs incurred in representing the interested person in the guardianship action are their personal responsibility.